Update December 7, 2017. Mount Agung eruption has occurred, which began to be seen since November 25, 2017 at 17:30 WITA (local time). Then on November 26, 2017, at 05.05 WITA, magmatic eruption was observed to have a height of 2000 meters from the top of the crater-lip with a thick gray ash color. Written in several media that "Pusat Pengendali Operasi (PUSDALOPS) BPBD Provinsi Bali Province called the eruption of Mount Agung, the number of refugees per Wednesday (November 29, 2017) at 18.00 WIB reached 43,358 people, spread in 229 point of refuge. Some of the impacts are airport closure by authorities, cancellation of tourist visits, decline in economic activity, and other losses. Hopefully the situation quickly improved! Mount Agung is classified as a stratovolcano, part of the Sunda Arc, and is the highest mountain on the island of Bali. Mount Agung has an altitude of 3,142 meters or 10.308 ft., become the sacred and foremost volcano for the people of this island. Mount Agung erupted in 1963 and considered as one of the most important volcanic events of the 20th century. Mount Agung erupted coincide with the implementation of important ceremonies, Eka Dasa Ludra (held every 100 years). The eruption claimed up to 2,000 of lives, thousands of homes were destroyed, and swept away the vast cultivation areas. Mount Agung is still classified as an active volcano, occasionally belches smoke (and ash), and has a large and very deep crater. Mount Agung has huge spiritual significance to the people especially Balinese, and is home to the 'Mother Temple' of Besakih. 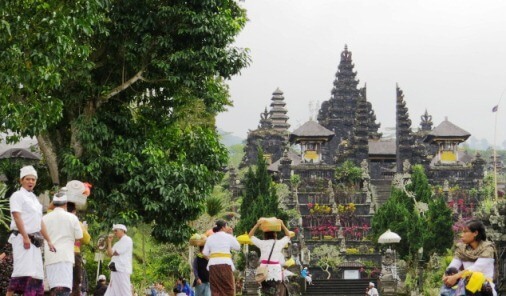 Besakih Temple is the most important temple in Bali and its existence cannot be separated by Mount Agung. 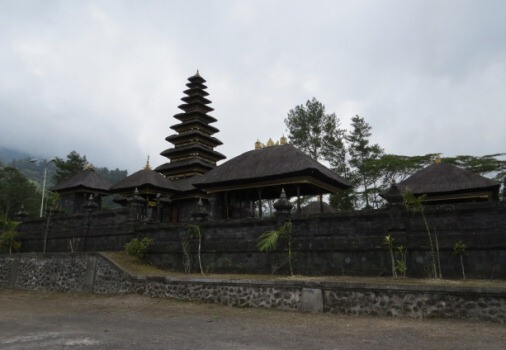 Besakih is a temple complex that consists of 18 groups of temples. Pura Besakih is the biggest temple, arranged in levels up to (7) seven levels known as "Sapta Loka" or "Sapta Patala". Balinese believed Mount Agung was created when the Hindu God "Pasupati" split Mount Mahameru (the spiritual axis of the universe) and formed the Mount Agung with a fragment. Visitors will climb dozens of stairs up to reach the entrance gate, each side is decorated by statues of the puppet characters from the Ramayana and Mahabharata. The entrance itself is an impressive split gateway (Candi Bentar). Behind Candi Bentar is the Kori Agung, or gate-way to the middle courtyard (Jaba Tengah). This is the area where during ceremonies, hundreds of Hindu worshipers gather in pristine white dress, and create a wonderful spiritual sight. The temperature in Agung Volcano is influenced by the altitude of 3,142 meters asl, humid and cool. 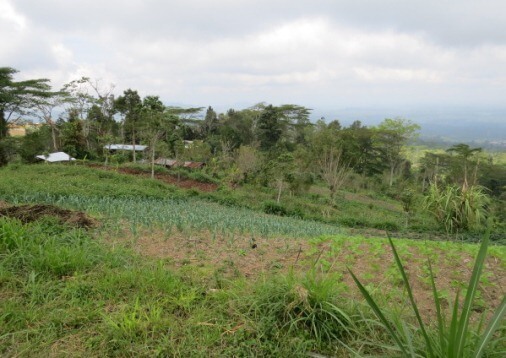 The soil is very fertile because of the volcanic soils derived from Agung Volcanic. 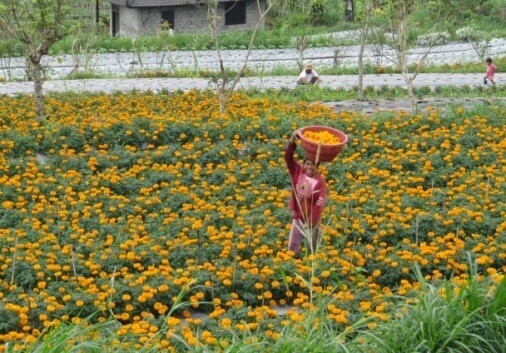 The fertile soil combined with coolness temperature has made the area suitable for agricultural such as fruits, flowers and vegetables. 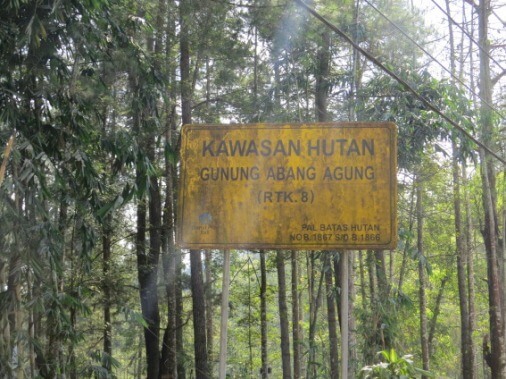 However, the agricultural area is limited due to the presence of The Forest Conservation Areas of Mount Abang-Agung (Kawasan Hutan Gunung Abang-Agung). 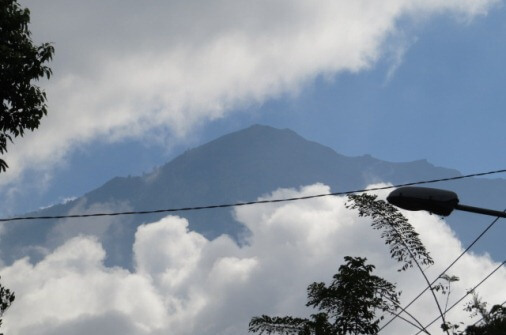 Mount Agung is viewed as sacred volcano so that is off limits to climbers, during important ceremonies. The best time to climb Mount Agung is in the dry season of May - October. 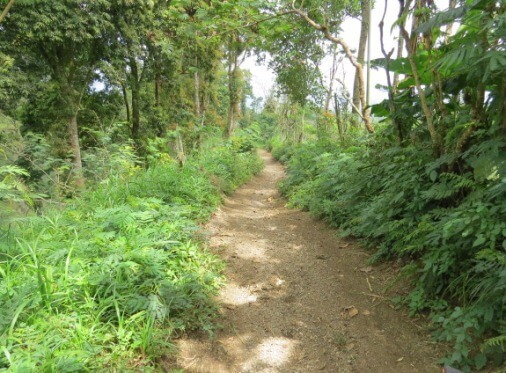 January and February should be avoided due to heavy rain, possible flooding and even landslides in the trek. Climbing the Mount Agung is not a light and easy hike. It’s a long and serious mountain route, scrambling, climbing and need extra caution, because a small miss-step would be deadly. Many climbers are shocked by the difficulty and long the climb-route, not expecting the level of risk involved, arriving with completely the wrong gear and inadequate physical levels. Bad weather arrives often and without warning, on late morning or early afternoon, which can lead to fog. It would be easy to get lost or have a slip and fall (potentially a deadly one). Some mild altitude sickness is also possible. Understand this condition and be aware of the symptoms. It is important to drink more water than you think you need and avoid the dehydrating effects of substances (alcohol and caffeine) before your planned ascent. Climber must read carefully the section on safety, understand the routes character (ask someone or find the information yourself before climb), and ensuring yourself to do a safe and pleasant trip. Climbing routes to the summit of Agung Volcano consist of: (1) From Besakih (West side) to the summit; (2.a) From Pura Pasar Agung Temple (South side) to the Crater Rim also (b) From Pura Pasar Agung Temple to the Summit; and (3) From Duku Bujangga Sakti (North side). Each of which has its own character and difficulty. At lower elevations it remains tropical but becomes distinctly cold and often very windy on the high bare-rock slopes. From the summit of Mount Agung, the surrounding view is extraordinary. If the condition is possible, you can see the sun rises above Mount Rinjani (Lombok). Harri, Geiger. (2014). Characterising the magma supply system of Agung and Batur Volcanoes on Bali, Indonesia (PDF). Department of Earth Sciences, Uppsala University. ISSN I650-6553 Nr 302. Retrieved September 1, 2016.